Our nation’s jails and prisons have replaced hospitals as the primary facility for mentally ill individuals. This powerful sentence is from a 2014 report from the Treatment Advocacy Center, a national non-profit organization dedicated to eliminating legal and other barriers to the timely and effective treatment of severe mental illness in the U.S. It’s a heartbreaking, frustrating, and sad reality. Even more paralyzing is the fact that included in this population are men and women in prison who suffer with mental illnesses that prevent them from being able to advocate for themselves. Here’s a good example: J.H. (a pseudonym to protect his identity) is a homeless man in his late 50s from Philadelphia who suffers from schizophrenia. He was charged with retail theft for stealing three Peppermint Pattie candies. And although a court ordered him to receive mental health treatment, J.H. 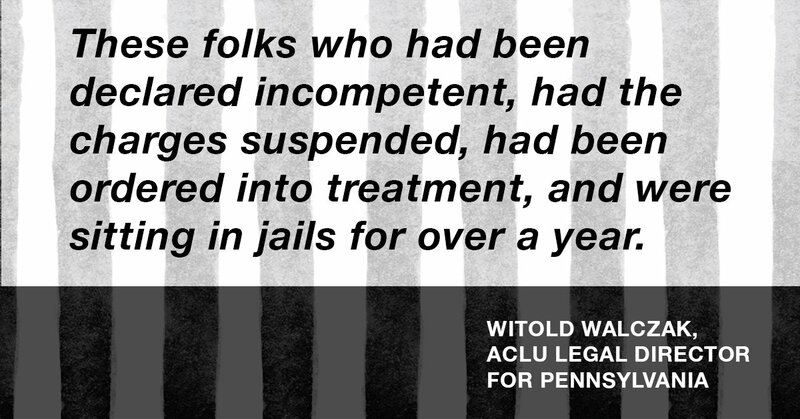 spent 383 days in the Philadelphia Detention Center awaiting an opening for such treatment at Norristown State Hospital. 383 days! This happened in spite of the fact that federal courts have found that delays of longer than seven days between a court’s commitment order and hospitalization for treatment are unconstitutional. What can be done? How to tackle such an immense and overwhelming problem? How can we begin to protect the rights of mentally ill people who find themselves ensnared in the prison system? How do we make sure that “the forgotten of the forgotten” have a voice when they cannot speak for themselves? One fight at a time. In a new series of interviews and profiles, OC87 Recovery Diaries will document the efforts of men and women who are making change, one fight at a time, in our nation’s troubled prison system, in hopes of igniting interest and sparking change. As a filmmaker, it is a great privilege to give a voice to the voiceless, or point a spotlight on those members of our community whose stories aren’t often reported on in the media. If cameras were allowed inside the prison where J.H. was housed for 383 days while he awaited treatment, they would capture a startlingly harsh deterioration of a human being. That’s why I was moved when I read a report about a lawsuit on behalf of such vulnerable people. Last year, the ACLU of Pennsylvania filed a lawsuit, JH v. Dallas, on behalf of hundreds of defendants with severe mental illness who have been ordered by a court to receive mental health treatment at one of two state forensic hospitals operated by the Department of Human Services (DHS) in Pennsylvania. 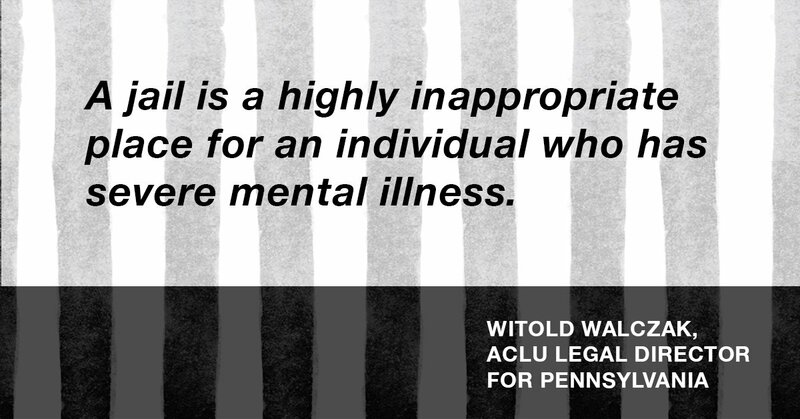 Because of a lack of treatment opportunities, people have been detained in Pennsylvania’s county jails — often in solitary confinement — for months (and in some cases over a year) awaiting treatment as their mental health deteriorates further. 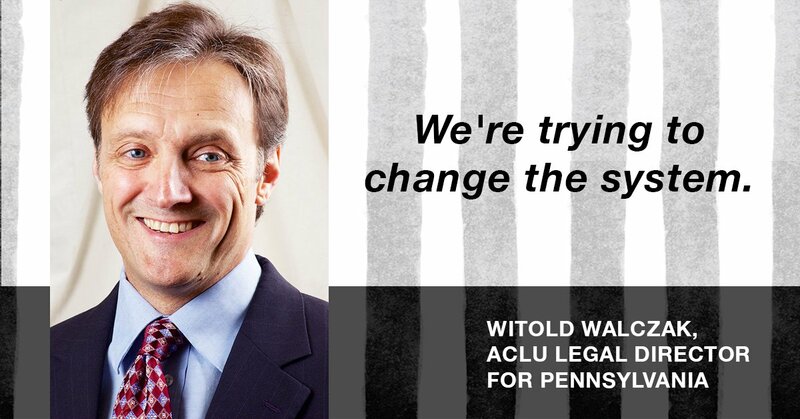 I wanted to find out more, and was happy when Witold Walczak, the ACLU of Pennsylvania’s legal director, who led the class action lawsuit against DHS, took the time to talk to me about the suit. It turns out that a trial like this starts in a very simple way. He said that the trial started from a complaint filed with the ACLU office — a frustrated legal services lawyer had a client who had been waiting for months to be placed in a hospital for treatment, but was in sitting in jail instead. Glenn Holsten: The suit has 11 plaintiffs. I was wondering how they were identified, and how you invited them to participate in a lawsuit? Witold Walczak: Well, it’s a little tricky because these folks have been deemed incompetent by a court, which means that they really can’t say “yes” or “no” to whether or not they’re going to have legal representation, and what often happens (or typically happens) in a state court proceeding is you go to a court and they appoint a guardian who then speaks for that individual. In federal court, the process is a little bit different, and you use what are known as “next friends.” They don’t have to be qualified and advanced, but they are subject to challenge after the suit is filed. Most of our “next friends” are public defenders who represent these individuals. The sad thing about many of these folks — and you’re really talking about the sickest of the sick – is that in many cases, they’re estranged from their families. There is nobody in their lives who seems to care about them, and so the public defenders are the closest thing they have to a family or a friend. We felt quite comfortable, especially with the public defenders that we used as “next friends,” that these are very responsible, caring individuals who had already devoted a lot of time to try and help their clients. Glenn Holsten: What was happening to these people in prison? Why the need for a lawsuit? 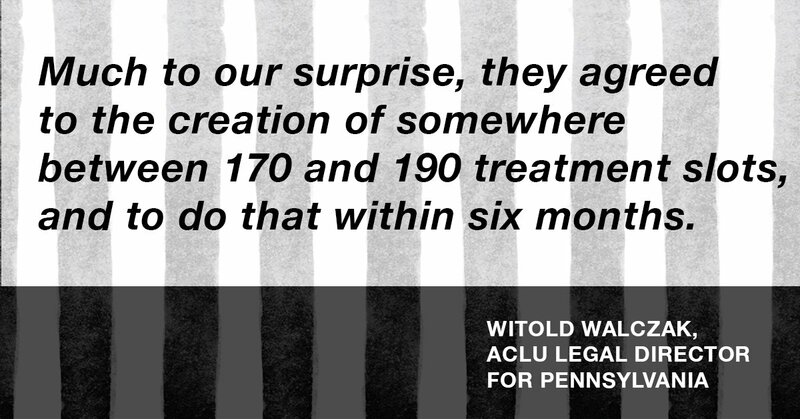 Witold Walczak: There are federal court decisions that have held that once a state court judge has declared someone incompetent, and ordered them into treatment, that they need to be moved from the jail to the treatment location within seven days. Beyond seven days violates the 14th Amendment Due Process Clause. There are some other courts that have held a little bit longer, but no court has held that anything over a month is acceptable. What we were dealing with here in Pennsylvania, especially in the eastern third of the state, was wait times averaging over a year. You have to realize that once someone is declared incompetent, the charges against them are suspended, so you have somebody who has no criminal charges against them, they’re not supposed to be punished, they’re not supposed to be in jail. They’re supposed to be some place getting treatment, and these folks who had been declared incompetent, had the charges suspended, had been ordered into treatment, and were sitting in jails for over a year. In many cases they were not getting any mental health services. Sometimes there was only medication. They often acted out while they were in the jail, picking up what are known as disciplinary infractions, which got them into more trouble. They lost privileges, and they were put on segregation where they got worse. A jail is a highly inappropriate place for an individual who has severe mental illness. Witold Walczak: This is not a case seeking money damages for the plaintiffs. This is a case we call an institutional reform case. We’re trying to change the system, so what we needed to do was identify people who had the authority to make the necessary changes. Glenn Holsten: You have said that the plaintiffs were the “forgotten of the forgotten.” I was hoping you could explain a little bit more about what you meant by that. Witold Walczak: I’ve been doing civil rights work for over 30 years now and have dealt with a lot of hard luck stories. In the two weeks before we filed this lawsuit we traveled around the state and I met with eight of our eleven plaintiffs. In four of those cases I walked out of the interview and sat down in the hall and just started crying, because it was so sad that these very, very sick people are in prison, and sitting there for months, and sometimes over a year. When I say they are the “forgotten among the forgotten” I need to give credit to one of the public defenders, Flo Messier, at the Defenders Association in Philadelphia. That’s a term that she used which really resonated with me. When you see how sad these individuals are, and you look at the plight that they are put in — they’re in a cage or they’re locked up for at least 23 hours a day not getting any kind of treatment. It’s truly cruel and unusual. They don’t have a person in the world to look out for them. Their illness typically precludes them from being able to communicate with anyone effectively. It certainly prevents them from being able to advocate for themselves. It’s easy just to look at them and say “That person’s crazy. I don’t understand what they’re saying, it’s gibberish,” and forget about them, and you can truly just stick them in a jail cell for months or years and nobody’s going to care. The person can’t advocate for himself or herself. There’s no family to jump up and down and often times you’ve got very overworked public defenders who just can’t give this individual the time of day. It is easy to see why they could be the “forgotten among the forgotten” and how you could allow this really unconscionable harm that’s being done to these extremely sick individuals to go on and on. Glenn Holsten: Why didn’t it go to trial? Witold Walczak: It didn’t go to trial because we settled. Glenn Holsten: What does that mean? Witold Walczak: Most cases actually settle. 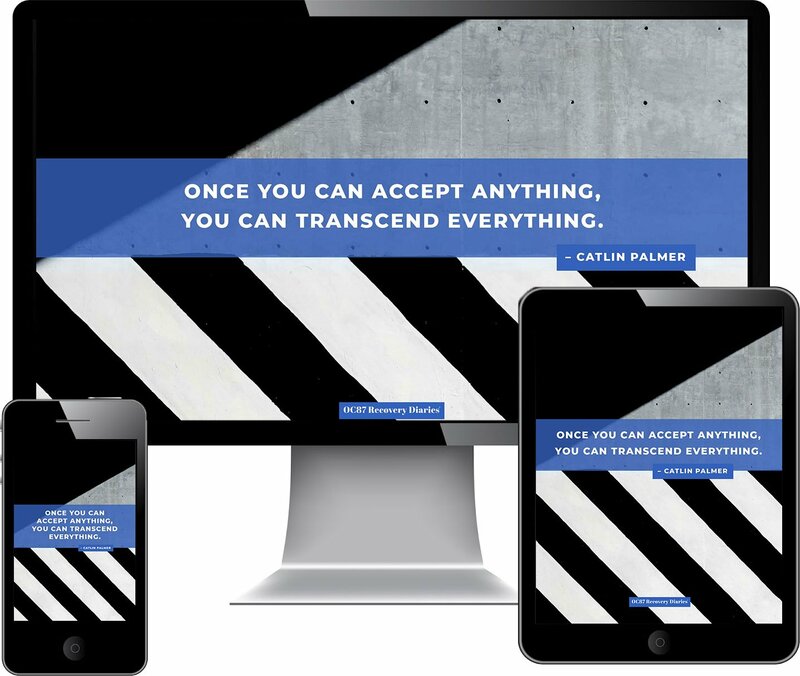 The goal here is not to get as much as you possibly can, not to get a gazillion dollars for an individual. The goal here is to try and fix the system. The biggest problem that is causing these delays is that there simply are not enough treatment spaces in the mental health system to allow people to move the way they’re supposed to move. At the time we filed suit, we had six individuals who had been waiting more than three years for some kind of suitable placement. The problem is there are just no beds anywhere. The person who doesn’t need to be there — and shouldn’t be there, and has been legally ordered to be sent out of the forensic unit — remains there, meaning that the people who are sitting in jail trying to get in there have nowhere to go. Truly the entire system is gridlocked. But much to our surprise, they agreed to the creation of somewhere between 170 and 190 treatment slots, and to do that within six months. Based on what we learned in discovery, that’s probably about 12 to 14 million dollars a year. Those treatment slots are all going to be at some place in the community. They are not going to be new state hospital beds. They are going to be at all different levels of care, and the hope is — I think both by the plaintiffs and by the state — that there are enough people in the pipeline and already in the system, who don’t need to be at a maximum security state hospital, but can and should actually be treated in the community. The way we’ve structured the settlement is if that 170 to 190 beds is not enough when we get to a year from now or so, we have reserved all of our rights to be able to go back in the court and press for more. Glenn Holsten: I know this is a Pennsylvania problem, what do you think about the rest of the country? Is this a problem everywhere? Witold Walczak: I think it is a problem elsewhere. We are not aware of any other place that has the kind of wait times that we’re seeing in eastern Pennsylvania, and I think you need to distinguish eastern and western Pennsylvania. Western Pennsylvania wait times seem to be about two to four months, which is constitutionally unacceptable, but it’s nothing compared to eastern Pennsylvania. One of our plaintiffs, Jane Doe, just got into a treatment facility in December. She waited 543 days in jail. Those wait times are though the roof and we’re not aware of any other state that has those wait times. Glenn Holsten: How does this happen? Witold Walczak: It’s pretty clear to me that the problem is that the money that was supposed to flow to the community in the wake of deinstitutionalization, it either didn’t flow in the first place, or I think more likely what happened, and this looks like is what happened in Pennsylvania, is the money started to dry up. You’ve got grossly deficient mental health services, and I say deficient in terms of numbers, I’m not impuning the type of — or the quality of — care that they’re getting. It really is just the number of treatment slots that are available, and what happens is the only system that’s available to catch these people as they fall is the criminal justice system. For example, look at a lot of the folks in our lawsuit, starting with our lead plaintiff J.H. J.H. is a guy who stole Peppermint Pattie candies. He has a history of stealing either food or personal care hygiene items from convenience stores. This guy just needs help. He’s not a danger, but the only place that was available to catch this guy was the county jail, and he sat there for over a year before he got into treatment. This is his second go around in the system. When he gets out and he’s a chronically homeless guy, I have little doubt that he’s going to end up back in the system. Unless we get the kind of resources we need to help this individual things won’t change. But if you give this guy a voucher for a housing unit, and you provide him with a high level treatment team that will come in and make sure that he’s taking his medications, that he’s getting whatever public assistance he’s entitled to, that he’s not decompensating in some way, that whatever it is that he needs, he can function perfectly well in the community, but he needs help to do that. That kind of help, even though it sounds like it’s at a pretty high level, it is way less expensive than sticking him in a forensic hospital for a couple years where you’re paying $900 a day. Glenn Holsten: It feels like we as a country have strange priorities when it comes to mental health and the criminal justice system. As you said, the only place that can catch people when they’re falling is the criminal justice system, which seems heartbreakingly inappropriate. 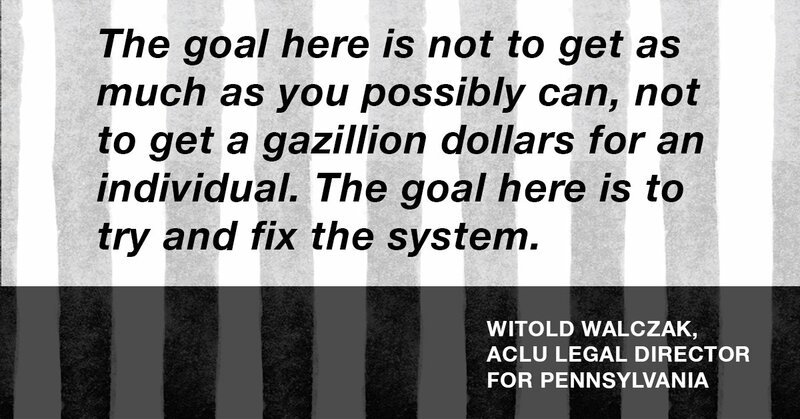 Witold Walczak: Well it’s expensive … It’s completely ill-suited to helping these individuals. It’s neither economical nor humane. Glenn Holsten: I think this is really important work you’re doing. I’m so glad you and your colleagues took it on. Witold Walczak: Yeah, well it didn’t seem like anybody else was going to tackle this, which was a little bit disappointing. I mean, this isn’t something we usually do, but it is certainly a civil liberties issue. If we’re seeing a void and nobody else is tackling it, then we were happy to be able to jump in, because as you say it’s a very important problem. You really are talking about people who desperately need help, but who can’t advocate for themselves and often have no friends and family to do that for them. Editor’s Note: Similar lawsuits alleging state violations of the rights of defendants with mental illness to timely competency restoration have been litigated in Washington, Oregon, Louisiana and Arkansas, and similar lawsuits are pending in Utah and California.